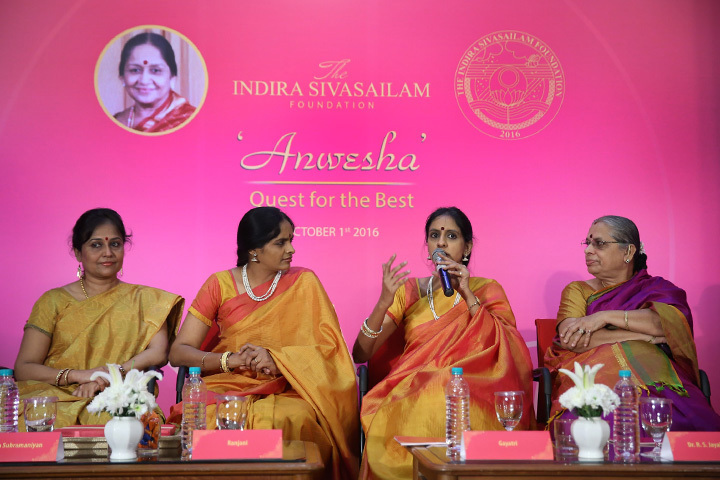 Organized in the lead-up to the annual Indira Sivasailam Endowment Concert, The Indira Sivasailam Foundation hosted ‘Anwesha – Quest for the best,’ for Carnatic music lovers on September 16, 2016. It provided a platform for rasikas to interact with the winner of this year’s Indira Sivasailam Endowment Medal, the Ra Ga sisters, Ranjani-Gayathri, through an interactive questions and answers session on Carnatic music. 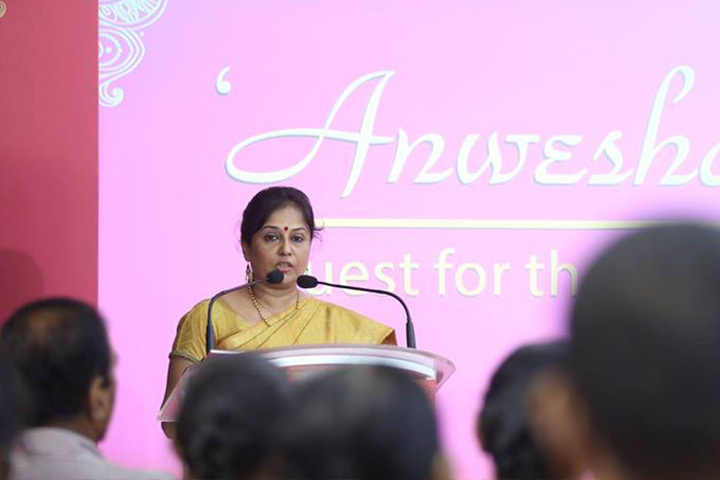 ‘Anwesha’ in a contest format invited fans to send questions on Carnatic music, of which the top 30 questions were selected and these participants were invited for the event. The contest saw participation from people of all ages and from different parts of the country and the world. The questions dealt with different aspects of Carnatic music like concert formats, the underlying relationship between bhaavas and ragas, usage of instruments, the impact of language on a song and the evolution of Carnatic music, like this question from a contestant, "In a Carnatic music concert, what is the difference between Pallavi singing format under Raagam-Tanam-Pallavi and Niraval playing in Krithi." Ranjani and Gayatri answered the top 30 questions with some inputs from Dr. R. S. Jayalakshmi, faculty at the Advanced School of Carnatic Music, The Music Academy. One participant’s question, “What is the scope and extent of Graha bhedam in Hindustani ragas?” had everyone on the panel contribute to a comprehensive answer. 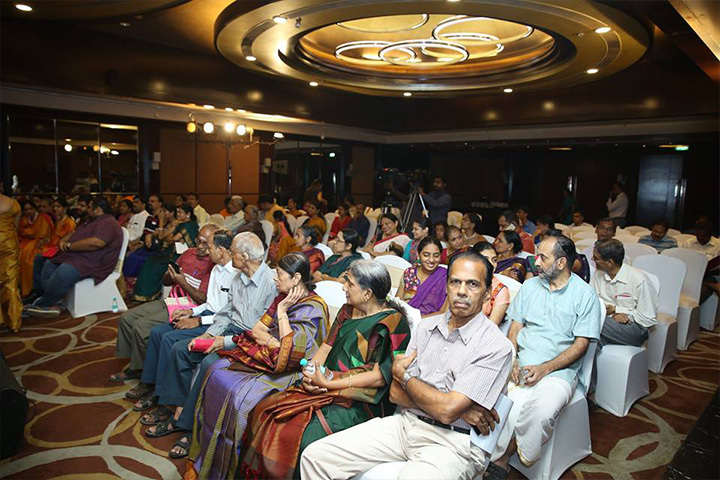 The event was packed with ecstatic Carnatic music aficionados and rasikas of all ages, who thrived in the atmosphere of mutual learning and unique in-depth discussions with the artists. A lot of the entries received were also curious about Ranjani-Gayatri’s journey from being violinists to vocalists; as per one participant asked, “How has your experience and the knowledge that you have attained as violinists specifically contributed to you both as vocalists? What aspects and qualities of the instrument have you adapted to your singing?” The contestants also quizzed them on the dynamics of performing as a duo and the impact it has on improvisation in a concert. Each participant was given an audio CD autographed by Ranjani-Gayatri after their question was deliberated by the panel. 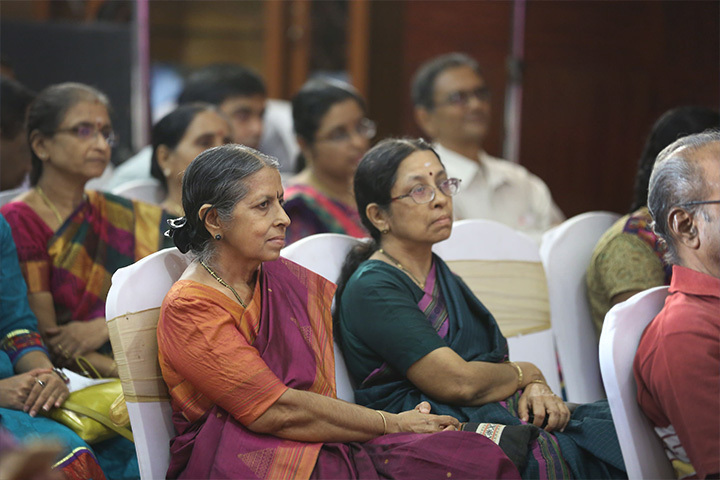 The efforts of The Indira Sivasailam Foundation were greatly appreciated by all those attending the event for the opportunity to interact with Ranjani and Gayatri and gaining new insights into Carnatic music. Smt. 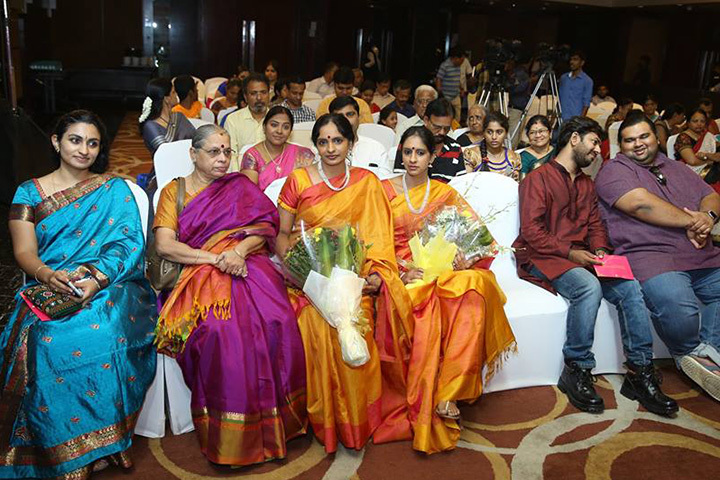 Ritha Rajan and Dr. R. S. Jayalakshmi, from the Advanced School of Music, as the Anwesha jury members appreciated The Indira Sivasailam Foundation’s initiative of creating a unique platform for rasikas to interact with the artiste bridging the gap and help perpetuate and preserve the ancient art form. The jury shared that objective questions with more focus on traditional and technical aspects of Carnatic music along with other parameters, were considered in the evaluation process.